Furnish statements to individuals by March 4, 2019. Originally, individual statements were due by Jan. 31, 2019. However, on Nov. 29, 2018, the Internal Revenue Service (IRS) issued Notice 2018-94 to extend the furnishing deadline by 32 days. Notice 2018-94 does not extend the due date for filing forms with the IRS for 2018. Despite the delay, the IRS is encouraging reporting entities to furnish statements as soon as they are able. No request or other documentation is required to take advantage of the extended deadline. Sections 6055 and 6056 were added to the Internal Revenue Code (Code) by the ACA. Generally, forms must be filed with the IRS annually, no later than February 28 (March 31, if filed electronically) of the year following the calendar year to which the return relates. In addition, reporting entities must also furnish statements annually to each individual who is provided MEC (under Section 6055), and each of the ALE’s full-time employees (under Section 6056). Individual statements are generally due on or before January 31 of the year immediately following the calendar year to which the statements relate. The IRS has again determined that some employers, insurers and other providers of MEC need additional time to gather and analyze the information, and prepare 2018 Forms 1095-B and 1095-C to be furnished to individuals. As a result, Notice 2018-94 provides an additional 32 days for furnishing the 2018 Form 1095-B and Form 1095-C, extending the due date from Jan. 31, 2019, to March 4, 2019. The extended deadline is March 4, rather than March 2 as in prior years, because March 2, 2019, is a Saturday. Despite the delay, employers and other coverage providers are encouraged to furnish 2018 statements to individuals as soon as they are able. Filers are not required to submit any request or other documentation to the IRS to take advantage of the extended furnishing due date provided by Notice 2018-94. Because this extended furnishing deadline applies automatically to all reporting entities, the IRS will not grant additional extensions of time of up to 30 days to furnish Forms 1095-B and 1095-C. As a result, the IRS will not formally respond to any requests that have already been submitted for 30-day extensions of time to furnish statements for 2018. The IRS has determined that there is no need for additional time for employers, insurers and other providers of MEC to file 2018 forms with the IRS. Therefore, Notice 2018-94 does not extend the due date for filing Forms 1094-B, 1095-B, 1094-C or 1095-C with the IRS for 2018. April 1, 2019, if filing electronically (since March 31, 2019, is a Sunday). Because of the extended furnishing deadline, some individual taxpayers may not receive a Form 1095-B or Form 1095-C by the time they are ready to file their 2018 tax returns. Taxpayers may rely on other information received from their employer or other coverage provider for purposes of filing their returns, including determining eligibility for an Exchange subsidy and confirming that they had MEC for purposes of the individual mandate. Taxpayers do not need to wait to receive Forms 1095-B and 1095-C before filing their 2018 returns. 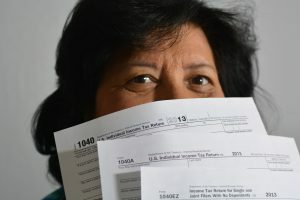 In addition, individuals do not need to send the information they relied upon to the IRS when filing their returns, but should keep it with their tax records.